Welcome to Tacoma Paving! We pave: parking lots, Commercial work, Driveways and other surfaces. we also offer concrete paving services! ​Tacoma Paving is a paving company servicing Tacoma, Washington and the surrounding areas (Lakewood, Parkland, Puyallup, Spanaway, DuPont, McKenna, Auburn, Kent, and more)! Your driveway or parking lot paved, a brand new asphalt surface (like a new driveway or parking lot! ), or repairs or maintenance for your asphalt surface then we can help! We also offer the same paving services for commercial projects of all shapes and sizes! We provide quality work at an affordable price. We will always quote you an honest number and if you aren't completely satisfied with our work, please let us know. Our goal is to make sure that our customers are always pleased with our work! We guarantee our paving services. WHY you should consider asphalt paving. ﻿Asphalt is a practical choice for anyone interested in improving their driveway, parking lot, or other surface. It’s safe and reliable: a long-lasting choice that endures weather and improves the visibility of road and parking lot markings. It’s low maintenance: asphalt is very durable and when treated with periodic preventative repairs like sealcoatings and overlays. 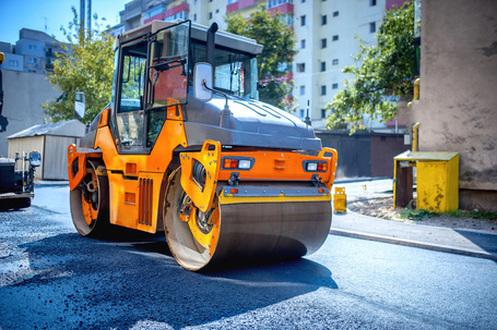 Its recyclable: asphalt is a recyclable material that can be used again and again for a variety of construction purposes. It’s affordable: asphalt is an affordable alternative when compared to similar options. Constructing an asphalt surface is also economical and has a faster turnaround time for completion. Businesses of all kinds can take advantage of an asphalt surface, whether it makes your business driveway safer or your parking lot easier to navigate! We have provided paved asphalt surfaces to restaurants, strip malls, subdivisions, apartment complexes, and more! Organizations and community buildings can take advantage of having an asphalt parking lot as well. Schools, churches, community centers, parks etc., can all benefit from the practicality of a paved driveway. We do offer painting services for asphalt as well! Keeping your customers and employees safer is as easy as marking curbs and parking lot stalls! Don't forget, contact us today to receive a free quote! Our Contact Form is readily available all over this site, and we will be able to assist you with any questions that you have! We look forward to helping you with your current or future paving project. We can proudly say that we have never received a complaint to the BBB (Better Business Bureau)! If you're not sure if Tacoma Paving covers your area, please reach out to us in order to find out! We are always expanding our business. We offer paving consultation and installation for residential properties. Whether you just need a few touch ups and minor repairs or a complete renovation of your driveway, we can help. We cater to businesses of any size! We offer installation, repairs, sealcoating, and many more options. We also provide line striping for our commercial projects. Line striping is a paving service that can help provide a new level of safety to you, your employees, and your customers! Parking lot markings and curb markings can also ease navigation for traffic in your property! Parking lots are a big investment. Regardless of the scope of your paving project, we can provide repairs or new paving work for yor parking lot’s needs. We can provide our services for businesses and organizations of all shapes and sizes, from schools, churches, subdivisions, malls, restaurants, etc. When creating a new paved surface, it’s important to make sure that the earth beneath is stable and secure. Grading the land before adding the asphalt ensures that the ground is stable and it helps to alleviate any problems with drainage. Grading is always recommended for new paved surfaces. Excavation is a more advanced version of Grading and is recommended if there’s reason to believe that there are more substantial obstacles in the ground like rocks or chunks of debris. Excavation is extensive, but it is always imperative to make sure that the ground you are working upon is stable. If you’re looking for a cheaper alternative to the typical asphalt pavement installation, Tacoma Paving also offers tar and chip installations. Tar and chip installations are similar to asphalt installations, but the contents of the pavement are mixed together on-site instead of at a plant beforehand. This option also comes with some interesting customization options. Because the mixture is mixed onsite, you can choose the color of the stones based on what is available from the equipment! Tar and chip driveways are also a lower-maintenance option from the average asphalt pavement. We offer a lot of options for your typical asphalt installation. We offer these services all around Tacoma, Washington and surrounding areas. Asphalt provides a secure, safe paved driving surface. It’s a practical option for both residential and commercial properties and can be very durable, especially when regular maintenance work is completed, like overlays and sealcoats. If you already have a paved surface, we offer options for maintenance and repairs. An overlay is a process where a brand new layer of asphalt is added on top of an older damaged layer. This process starts by grading down the older layer so that it’s as even as possible and suitable for the overlay. Many times, small problem areas in the old pavement are patched or otherwise removed (like potholes). It’s an affordable form of maintenance for your paved surface and it takes a lot less time than a new asphalt pavement installation! A sealcoat is a protective layer that’s added on top of asphalt to provide protection from the elements and other damaging factors. UV Rays, water, oil from vehicles—all of these things can cause preventable wear and tear on an asphalt surface. Getting a sealcoat can help keep your surface intact for longer. Drainage is an important factor in every paving job. Water can damage pavement and cause an increase in necessary maintenance or can even ruin pavement entirely. Without properly planning and making accommodations for water drainage, water can accumulate all over the surface. Failing to properly plan for water drainage can also lead to water draining towards undesirable locations, like your home or business. Tacoma Paving offers free consultations, please let us know if you have any questions about drainage in your upcoming paving project. ​Tacoma Paving can help you get the perfect driveway. Whether you need a brand new driveway, or just need to touch up your existing one, we can help. We have options for every residential budget. We are always open to questions and offer free quotes and consultations to anyone interested in a paving service. Please reach out to us using our phone number (253-285-1553) or using our convenient contact box to the left if you have any questions or concerns! ​If you didn't see the service that you're interested in or if you have any other questions, please reach out to us and we'll be able to answer questions about your specific paving project. If you would like to learn more about our paving company services then follow the link!